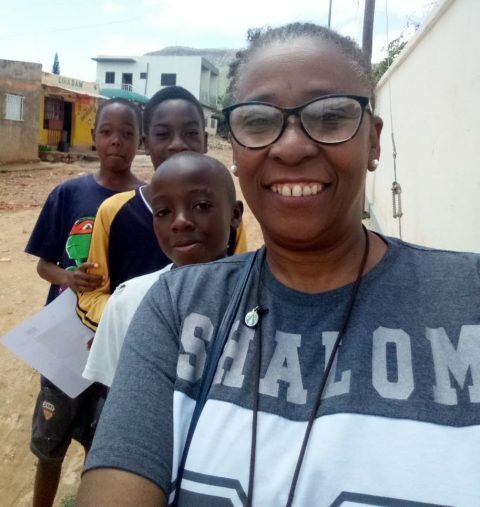 In an interview with Comshalom (SH), Benivalda Carvalho, a missionary from the Shalom Community, talks about the experience of her new mission in Lubango, Angola. SH: How many years do you have in mission, and how would you describe your missionary life? Benivalda: I have been in the Community for 21 years, and have had the grace to live in missions where I was greatly loved and truly loved it. In Brazil, I lived in different cities. Outside of Brazil, I have lived in Braga, Portugal and other places where I left behind true friends and spiritual children with whom I stay in contact until this day. It is very gratifying to see them again and to realise how much love leaves its mark- it renews my consecration. In 2011, I made my perpetual vows in celibacy; I truly am very happy because each day I am able to see the hands of the Lord loving me, directing me and above all, I see His hand taking care of me. I love the way that He loves me; it is a love that is palpable, real, not utopian or sentimentalist, it is something lived in the flesh, feet on the ground, in the ‘yes’ of everyday. At the beginning of 2018, the Community invited me to join the foundation in Lubango, Angola, after having lived in Braga for almost eleven years. The entire transition was filled with expectations and anxieties. We were overcome by a huge desire to go, but also by the pain of the need to stay. We could not resist the tears. SH: When did you arrive in Angola? What were your first impressions? Benivalda: I arrived in Angola on the 29th of December, filled with expectations and fear of the unknown. I think it is impossible for someone to arrive in Angola and not be impacted by the reality lived by these people. It is frightening to see and touch realities that you have not yet seen before. During the first few days in Lubango, I began to understand why we are here. It is like I can hear Jesus screaming “I thirst and hunger for these people, they are my children, my children. I have an urgency to console them”. SH: What is your view on the people of Lubango? Benivalda: Through the Shalom Charisma in unity with the Church, God wants to attract, mainly the youth, towards Him. 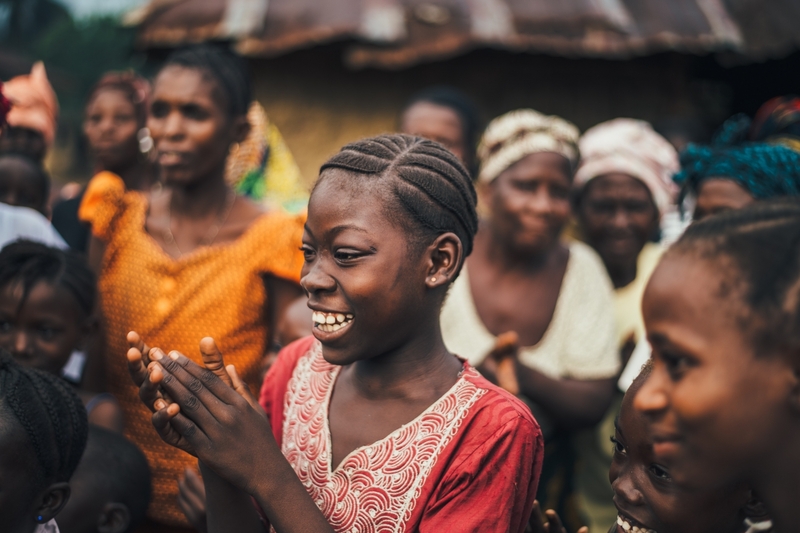 I touch upon the urgency of God to gather to Him all people who do not know His love: men, women, young people, and children who live in a state of extreme poverty. It is very sad to look around and come face-to-face with “children of God”, my brothers who have been robbed of the rights and dignity owed to every citizen. Looking at these people I am reminded of the Gospel of Mark (6:34-44), where Jesus feeds a multitude of people. I feel compassion, a great desire to do something, I don’t want to be “the saviour of the land”, no; I want to simply be Shalom. What is it to be Shalom? Minister and disciple of Peace. To follow the Master. Jesus feels compassion and acts. It is impossible not to act, it is impossible not to love. God suffers, and if God suffers, we who are consecrated will also suffer. However, we cannot lose ourselves in sentimentalism but must learn from Jesus. He teaches us to have a plan and a strategy. SH: How do you think that your missionary life and Shalom Charisma can be an answer to these people? Benivalda: First, compassion: without love we are not able to give ourselves to these people, to the youth. Second, teaching: the need for formation is very vast, human formation, personal hygiene, basic cares, etc. Third, to build prayer groups: the way of Peace, small groups where the experience with Jesus may be a lever for a profound and determining conversion. Fourth, to believe in them and assign them responsibilities: they are the protagonists of a new time. Our primary target is the youth, and how great it is to see their desires, wishes and dreams. There is nothing in how they are different from European or American youth; what is different is the poverty, or rather, the misery in which they live. However, despite all the poverty, urban chaos, drugs, lack of perspective, etc. I see a nation that smiles, that dances, that shares, that teaches. Young, black, beautiful, and thirsty for living and learning. I think I am infatuated with these people. I ask God the grace to cry with those who cry, to suffer with those who suffer, to rejoice with those who rejoice, to love, to love and to love. SH: What are your expectations and desires for this new missionary challenge? Benivalda: There is a lot that needs to be done, we have a lot to accomplish, much to learn on this Angolan soil. I have many “children” to spiritually generate, many brothers to welcome, many ill to treat, many tears to shed and many smiles to share. I cannot do it alone, I need prayers, I need help. Today I can say that the Angolans are not unknown and poor. They are my people, my brothers. Do you want to take this mission with us? Support us!